Many of us might not be familiar with PDF Audio Reader. It is a text to audio program that allows you to read your PDF text out load. In this article, we will introduce several popular PDF audio reader tools for Mac, Windows, iPhone/iPad and Android, which will help you learn how to choose the best PDF voice reader for your needs. Part 1: What is PDF Audio Reader? Before we define what a PDF Audio Reader is, we must differentiate it from a PDF Reader, the two terms confuse both people and search engines alike. A PDF Reader is simply a software or program that is used to open, or, sometimes in the case of reader/writers, edit and create PDF files. 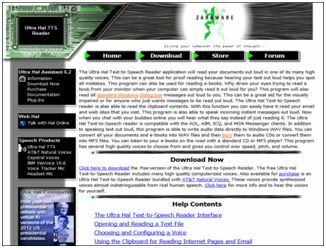 A PDF Audio Reader, on the other hand, is a text to speech software (TTS). Its primary purpose is to convert text into audio. In other words, it reads text out loud. Most PDF Audio Readers have the capability to read not just PDF files but also Word and web (HTML), Kindle and other text file formats. Initially the software was created to assist the visually impaired, but now all users can take advantage of the software. Many are trying to avoid eyestrain like in the case of writers proofreading their own work. They use TTS software to read their work back to them so they can take a little break from staring at the computer screen. In other applications, usually in mobile devices like smartphones and tablets, TTS Apps are used to convert important text messages and/or emails to speech when the user is doing something that occupies their hands and eyes, like driving for example. 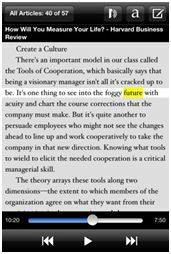 Others simply like to relax and listen to the audio conversion of an e-book or long article instead of actually reading the text. 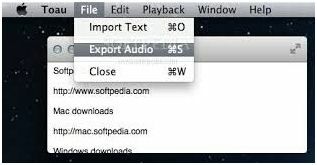 Text2Speech is a PDF Audio Reader that can be used with Mac. It is downloadable from the (Apple) App Store and for additional features you can purchase or upgrade to the paid version Text2Speech Pro. This TTS comes with 10 voices, but if you are running OS X Lion 10.7, it gives you the option of downloading additional voices from iTunes. Mac devices running OS X Lion can also download upgrades to support 26 additional languages. Text2Speech also has a Windows version. Voice Dream is overflowing with features but despite that, it comes with a clean user-friendly interface. Some of the features of this TTS that stand out include its having 37 built in voices and the capability to purchase hundreds of additional voices from third party vendors like Ivona, Acapela and Neo Speech. Prices range from $2.00 to $5.00. Other noteworthy features include its ability to remember where your last session ended when reading long materials like e-books and making a playlist to queue short reading materials like articles. Voice Dream also has a sleep timer you can use to have the app read you a bedtime story. There are more unique features in this PDF Audio Reader that you might like to check out on their website. TextSpeech Pro is not software. It can be purchased for $29.99. TextSpeech uses all Apple and Cepstral voices. As can be expected from a paid software TextSpeech Pro uses high quality voices and you have the option of downloading more voices. There are more features available if you purchase the more expensive De Lux version. TextSpeech Pro in total is a very good PDF Audio Reader. The only downside is the cost. Toau is a PDF Audio Reader for Mac that is light at 2.21 MB and thus is quite fast to download. There is no need to install the software and according to user reviews has the fastest conversion time. There is very little processing lag, between the time the text is loaded to the time it is converted to speech. Toau cannot download its own voices, however. It uses the default voice on your Mac so if you want it to change voices you need to download voices through your Mac’s system preferences and change the System Voice there. All in all, Toau exceeds expectations for a software its size. Toau is compatible with Mac OSX 10.7 or later. GhostReader is the Mac version of the PDF Audio Reader. It has almost the same features as its Windows counterpart, but includes the ability to bookmark audiobooks from your converted PDF e-books, a feature not found on the converted files of other converters. The downside of this software is that it can be a bit expensive, but you can add additional voices. 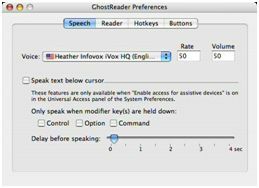 A newly purchased Ghost reader can have as much as 20 license credits to purchase additional voices. 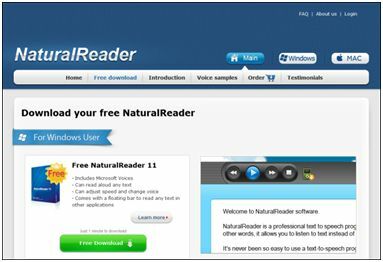 The Natural Reader is a download Text to Speech software available in both Windows and Mac versions and also offers a paid version with additional features. 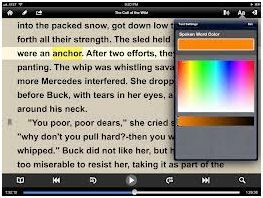 This software allows you to control the reading speed and lets you customize the voices. This version only has one female voice; the paid version has more voice choices and the option of saving the converted text as MP3, WAV, WMA and other audio file types. Natural Reader can open and convert Word, PDF, PowerPoint, and more and if the file is in an unsupported format you can always copy and paste the text onto the text area and the software can convert it from there. However, it does converts text in segments and during the transition between segments the words tend to get either mumbled or skipped. 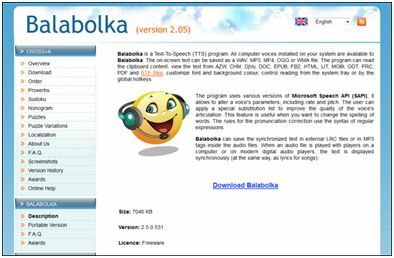 Balabolka is a Windows-based PDF voice reader, and since it utilizes Windows components, is not designed to work on a Mac. It utilizes Microsoft Speech API4 files to synthesize speech. Microsoft SAPI is usually bundled with Windows but if not it can easily be downloaded. Balabolka is capable of reading PDF, DOC, RTF, HTML and more. For unsupported formats, you can still copy and paste the text directly on the Balabolka window. It saves the converted file in a variety of formats including MP3, WAV, WMA and others. Balabolka is also highly customizable. You can change skins and it has the ability to download more voices online. Deskbot is another Windows-based application. Deskbot is capable of reading from the clipboard so all you have to do is highlight the text you want it to read and press Ctrl+C (copy) and Deskbot will read it for you. Another convenience this software has is the “Read with Deskbot” item on the browser context menu when you right click on a webpage, just choose it and Deskbot will read the contents of the page automatically. 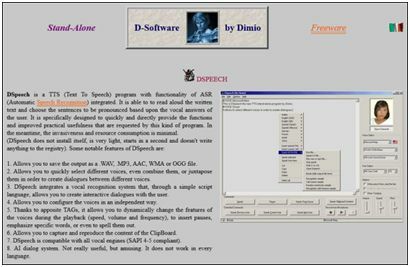 Dspeech is also a PDF voice reader for Windows that has all the standard reading and saving capabilities of top Text to Speech converters and more. Its support goes all the way to providing links where you can download or purchase additional voices. Dspeech also utilizes SAPI and other Windows components so it is light to download. What makes this unique is that it has the capability to reverse the process; it has a voice recognition function where it can convert the user’s captured voice into text. Dspeech also has an open source Multilanguage upgrade where you can download additional code to enable it to properly read other languages including German, French, Japanese and Chinese among others, You can visit their website for the complete list. The only issue with Dspeech is that it has conversion speed issues and it sometimes cannot pick up on context. Ultra HAL comes out on top, not because of its high-tech features, but because of its simplicity. It boasts a simple and clean, user-friendly interface. It reads text either typed or pasted on its window and saves in WAV audio format. It doesn’t have a lot of bells and whistles, but its simplicity makes it very useful for the visually impaired. If you work with PDF files frequently, you may want to edit PDF text before turning it into audio. PDFelement ProPDFelement Pro can help. This PDF editor allows you to edit any text, pages, graphics and more in a PDF. You can also convert and share PDFs if needed. Its OCR feature lets you work on scanned PDF files with ease. There are also security options to protect your PDF files. 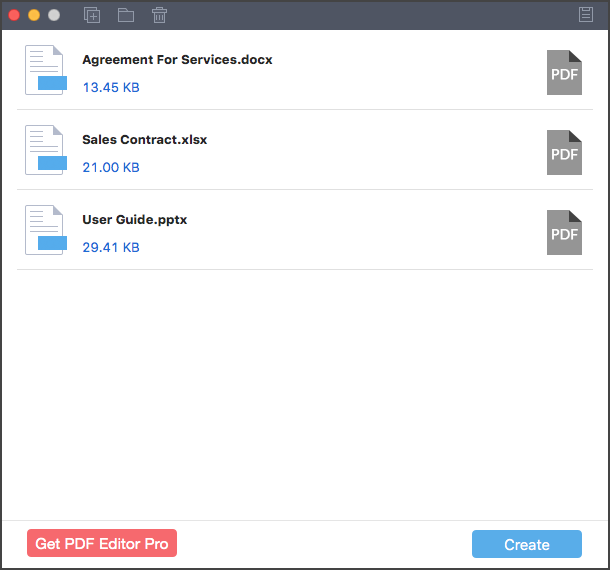 Edit the text, images, and links in your PDF file easily. Convert PDF to Word, Excel and more formats, and batch convert multiple PDFs. 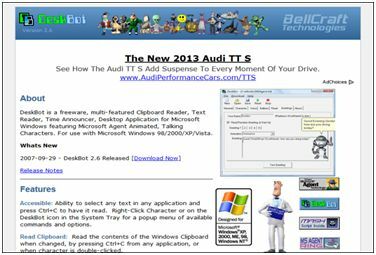 Use advanced OCR technology to edit and convert scanned PDF files with ease. Ivona is a Text to Speech app with high voice quality and a very big variety of voices to choose from. Ivona’s voice options are compatible on other TTS Apps and amazingly, you can download both the app and its voice upgrades. Ivona is notable for its ability to achieve near natural speech, which could even be customized to user preference. The downside is that Ivona uses a bigger data package to achieve this quality and thus takes up a lot of disk space and, would need to download huge data files when adding new voices. SVOX Classic is one of the most used TTS apps on the market. The reason is its support for over forty languages, and a variety of voices as well. That is almost twice the number of languages that other TTS apps offer. 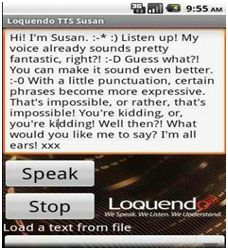 Loquendo only offers one voice, Susan, but she is one of the quirkier voices available. When reading posts, especially on social networks, this voice reads out emoticons by giving their equivalent sounds like laughing, crying, sighing, and a variety of sounds. This feature is unique to Loquendo. It does not seem to justify the app’s high price though, considering that it has problems with reading long files like long articles and e-books. SVOX Pico is a version of SVOX and is often bundled in with the purchase of an Android device. The TTS is pretty functional but it has one of the most robotic sounding voices. A user needs to upgrade to SVOX classic to access additional paid voices. CereProc is another playful Android TTS app. It has the functionality and voices common to other TTS apps but it has additional animal voices offered like, dog, pig, dodo etc. Although these voices are pretty incomprehensible, you can always use them to amuse yourself and your friends. The downside of CereProc is that it is not appropriate as a serious business software. Voice Dream for iOS is a lighter version of Voice Dream for Mac. Despite being light it is still packed full of features and still boasts the same clean and easy to use interface. Some of its notable features include bookmarking for long documents and note taking capabilities. Unlike the Mac version though, it does not have the copy/paste option (Clipboard read) for unsupported formats. Voice Dream is optimized for both the iPhone and the iPad. Voice Reader probably has the best quality and most professional sounding voice around when it comes to TTS Apps for iOS. The app comes with 32 voices and supports 21 languages. It is capable of multitasking, by listening and translating a text document while you perform another task on your phone or tablet. Voice Reader is optimized to handle online text like emails, RSS Feeds, social network posts and more. Voice Reader Text to Speech is supported by both the iPhone and the iPad. 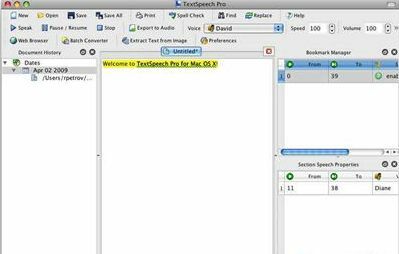 Speech Magnet has some of the characteristics of the Mac TTS software; it has clipboard reading capabilities. 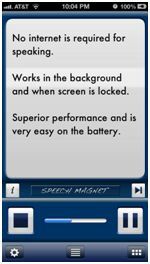 This means that you can copy the text you want Speech Magnet to read and then launch the app. There is no need to paste because the app directly reads from the clipboard. Speech Magnet also has auto start capabilities meaning it starts reading the moment the app is launched. It can also run in the background for convenience. Speech Magnet is a simple yet powerful tool. Unfortunately, it is only supported by iPhone and not iPad. The Voice Brief Text to Speech app is described as a voice assistant app developed for iPhone. As a TTS app, it has special features like having four high quality voices to choose from, customizable content and multitasking. The app has additional features more often associated with virtual assistant apps than with a TTS app. These features include a background listing option, an alarm clock, and a built in browser. 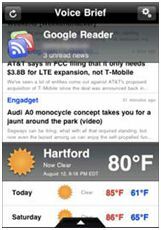 The Web Reader app is an iPhone TTS app optimized for reading web content like web pages, emails, blog and social network posts, and similar text files online. 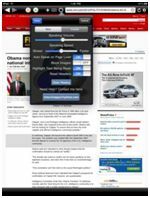 Standout features of Web Reader include its image-blocking feature to allow written content to load faster and auto speaking from background when multitasking. Web reader also works well with local sync apps like Dropbox. The downside with this App is that it is an iPhone only app and its features are more focused on online than offline functions. Create PDF from DOC, DOCX, XLS， XLSX， PPT, and PPTX. 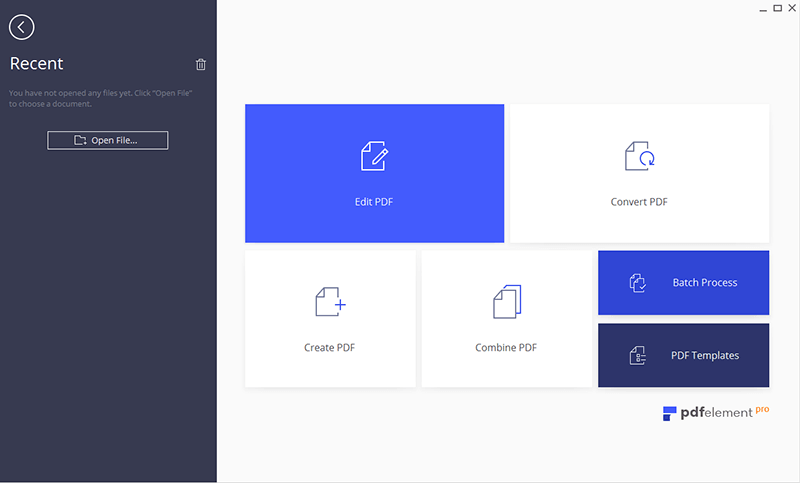 Batch convert Microsoft Office files to PDFs all at once. Make high quality PDF files that retain the original formatting.